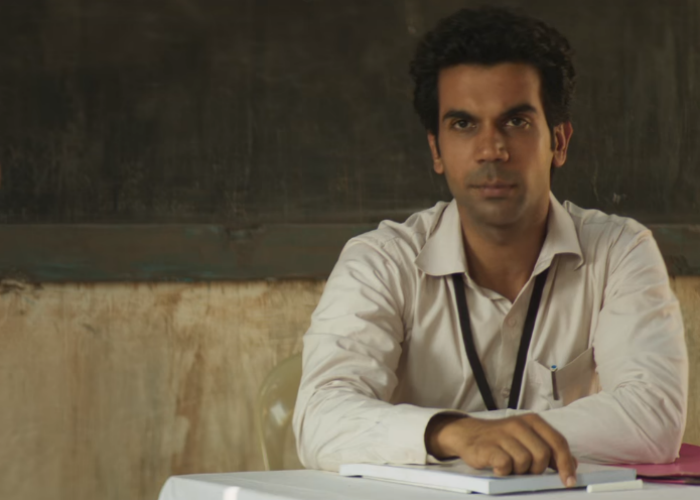 Newton movie review: Amit Masurkar's Newton is a dry and intriguing look at an India we don't usually see - and shows us how hard it is to take elections seriously. I would love to see Pankaj Tripathi as a sleuth. Not only is the actor incapable of hitting a false note, but there is a beautiful inscrutability to his actions and to his eyes. We don't know if he's about to stifle a yawn or bark lethal orders, and this feeling that even the actor himself is deciding in the moment what exactly to do next, as if he is making up the words he's saying, marks Tripathi out as an extremely compelling performer. It's hard to look away, and, as I said, I'd love to see him in a role that fetishises his seemingly unpredictable thinking process. 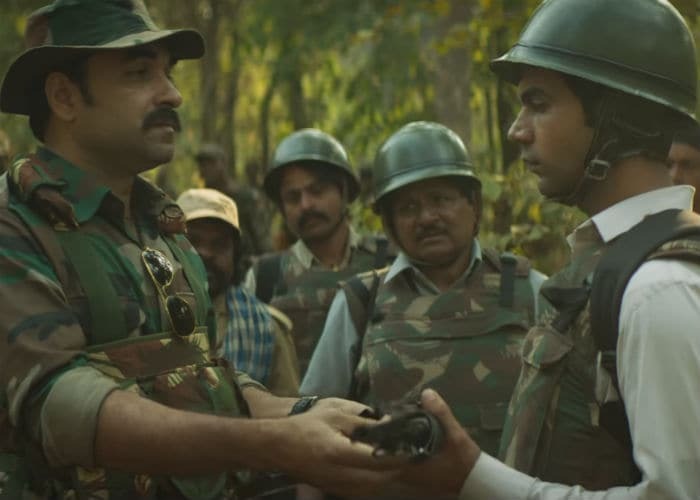 In Amit Masurkar's Newton, Tripathi plays Aatma Singh, an army officer who has looked over many an election in many a war-torn part of the country. He is currently posted in the forests of Chhatisgarh, in a Naxal-controlled area with more landmines than there are voters. One morning before he can start on his breakfast eggs, he meets a presiding election officer called Newton who wants - exasperatingly enough - to do everything by the book. The film is, for the most part, about the day they spend together. This is a film about how impossible it is to follow the rules. 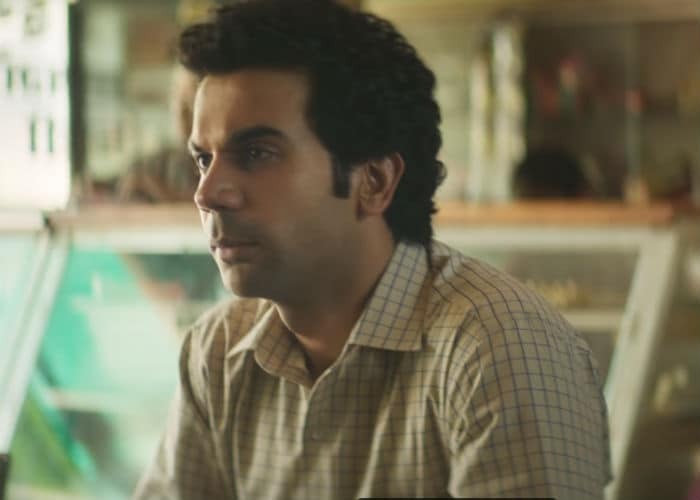 Newton Kumar, played by the assiduously chameleonic Rajkummar Rao, is a stickler for the written word. He might have changed his first name - he was originally named Nutan, like the Bandini actress - but he likes to play by the rules, so much so that as a youngster playing cricket he'd find himself in the role of umpire. He is close to being irritatingly earnest, and through the course of this film, every character, even those who like him, lose their patience with him. This is also symptomatic of Newton itself, a film that, while striving to be admirably dry, proves at times to be achingly dull. The film's go-nowhere pace seems to be a conscious decision but its highest, most telling moments come through scintillating lines of dialogue (take a bow, Mayank Tewari) and actorly flourishes from a great ensemble. The rest of the film feels like it wants to appear slow in order to be taken seriously, which would be less of a problem if it had enough to say instead of just holding up a mirror. As it stands, Newton lays down its rules in the first few minutes of running time - that the world far from our cities is wildly different from that within them, and that elections are a sham in large parts of the world's largest democracy - and, as the film goes on, we realise it provides no third law. No film is obligated to offer profound insight, of course, and Masurkar has made a fine film merely reporting the unfamiliar while tickling us with the familiar - characters inside a makeshift polling station discussing zombie movie subplots, for instance. The dialogues are indeed excellent. A father tries to tempt his son to marry an underage girl by telling him he'll live a life drenched in ghee - "zindagi bhar ghee mein dooba rahega," he says colourfully - and there is a lovely bit where the English word 'Joker' is dismantled and turned into the optimistic sounding Hindi 'Jo kar', which is used to say do as you may. 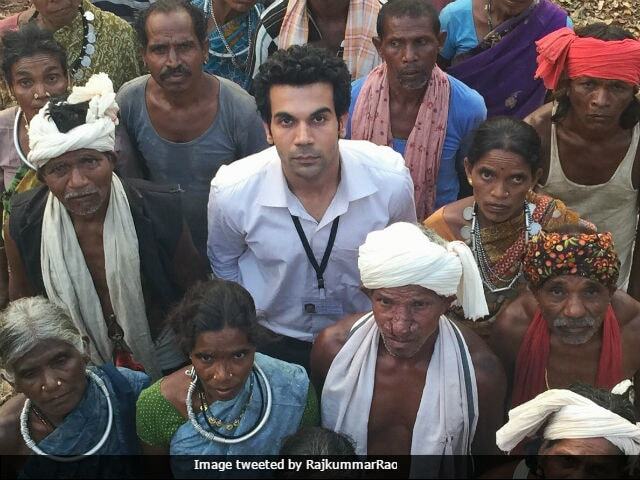 Even when the lines aren't great or seem too literal, like when Aatma talks, ponderously, about the weight of a nation or when Newton, near the end of the film, feels the need to deliver a story-so-far plot synopsis (in case we haven't been paying attention), the actors are more than capable of lifting the words. Sanjay Mishra, for example, shows up to tell us the underlying problem with Newton- that he is arrogant about his honesty - as if he's known and taught him forever, instead of having just met the young man. What an actor, though. Visually the film looks markedly plain, though cinematographer Swapnil Sonawane keeps attempting to compose odd tilt-shift frames where Newton is the only character in focus. These shots are ill-advised and yank us out of the spartan realism the film is going for, as does the solitary song sequence that feels unnecessarily cinematic. Masurkar can be too literal with visualisation - a voiceover informs that officials played cards and clipped their nails while we see them doing just that, and there are some clumsy analogies about the number 5 and the number 6 - but he has a fine comic voice, and some of the film's finest and most overlooked bits are when he's cutting away from Newton and the gang to show canvassing election candidates and their follies. The film begins, in fact, with a politician standing next to a cutout barely larger than himself, like a flattened twin, exhorting the masses not to vote for him - before going on to say that he wants the populace to have a laptop in one hand and a mobile phone in the other. Caveat emptor, India. Rao and Tripathi provide terrific performances, especially when pouncing on one another - even literally. They are well complemented by Raghubir Yadav in an entertainingly loquacious role, Anjali Patil as a smartly dignified Adivasi woman and, quite memorably, Mukesh Prajapati as an election officer who doesn't have much to say but is easily, enviably content. The reason he chose this high-security posting was because he wanted to ride in a helicopter, and while the film is all about witnessing the dog of democracy being wagged, this is one character who gets what he wants. Fresh free-range eggs, a meal of country chicken, a chopper ride. He is, therefore, the least likely to go anywhere. All beware the well fed.